Reflection PR was appointed to launch the jeweller’s sparkling new showroom and maximise regional publicity. Generating a buzz around the grand opening, our team distributed a launch press release to local media and invited journalists, bloggers and photographers. Media coverage was achieved before, during and after the event, with footfall and sales increasing within the first week of opening. Norwich showroom re-opens after extensive refurbishment. Local media coverage reached 134,000 people. Footfall and sales increased within the first week of opening. A positive review from regional Grazia beauty blogger was secured. Goldsmiths, the UK’s largest luxury high street jewellers, celebrated re-opening its Norwich showroom after extensive refurbishment to make room for a larger selection of luxury watches and jewellery. Our brief was to create publicity prior to the launch by attracting footfall and press attendance through constructing clear messaging through media relations. Increasing footfall to the new store in the first few weeks of opening. With consumer purchasing decisions influenced by third-party endorsement, we approached influential media, inviting reviewers to experience the store first-hand. Arranging and briefing a professional photographer to capture the event. The re-opening of Goldsmiths’ showroom received sustained positive media attention – reaching an audience of 134,000 people. This included key regional media including Places and Faces, EDP Norfolk Magazine, Eastern Daily Press, The Norwich Resident plus an engaging review with the UK’s leading fashion blogger and regional Grazia beauty blogger. In the first week of re-opening, Goldsmiths experienced an increase in footfall and sales. We are very pleased with the coverage. I have received positive feedback from the Directors so thank you for your hard work. You have been great to work with and we hope to have the opportunity to work together again. 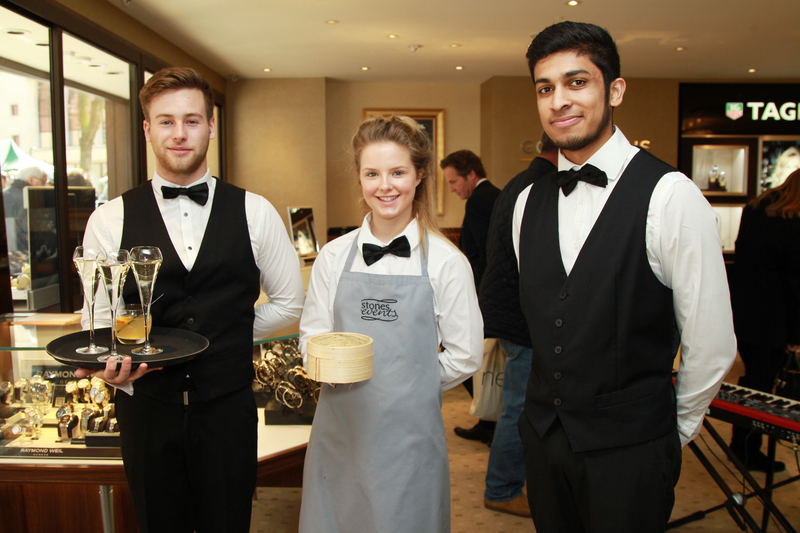 With extensive consumer and lifestyle PR experience, Suzy directed the launch of Goldsmith's new showroom.